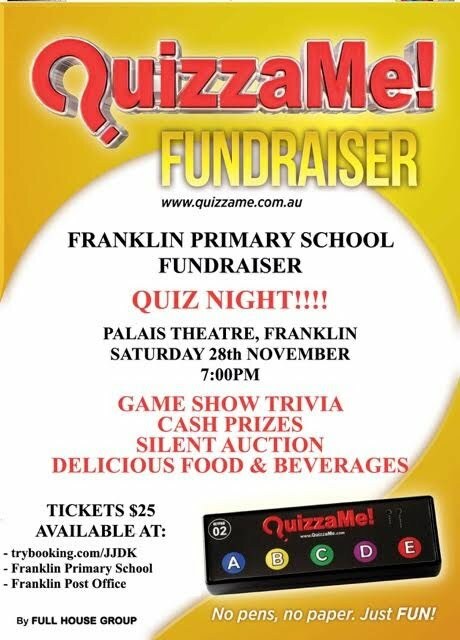 Palais Theatre, Franklin, Saturday 28th November 7pm. Bookings at the Post Office, the school, or trybooking.com/JJDK . See flyer below for more details.